so he'll ask you for a puppet stage. you'll have to create one. Or really just throw one together. Old curtain, a rod, and two chairs. Two chairs and a blanket would have been great too. 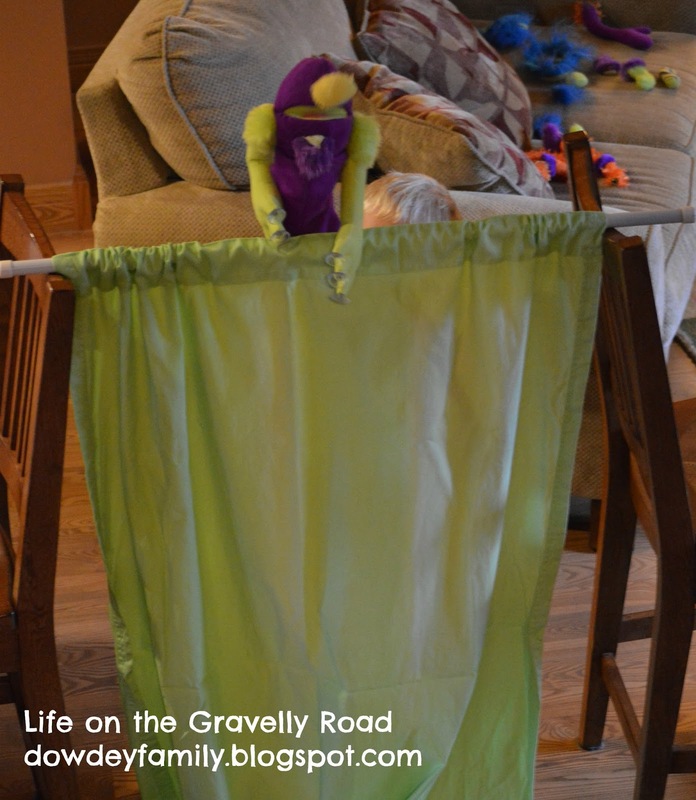 Its been a while since he's played with very cool monster puppet from his aunt and uncle. See all the stuff on the couch behind him? Velcro pieces to change the face of the puppet to create just the right crazy monster puppet you need for the story you are telling. For whatever reason, this monster was not allowed to have eyes. Simple fun on a rainy day!